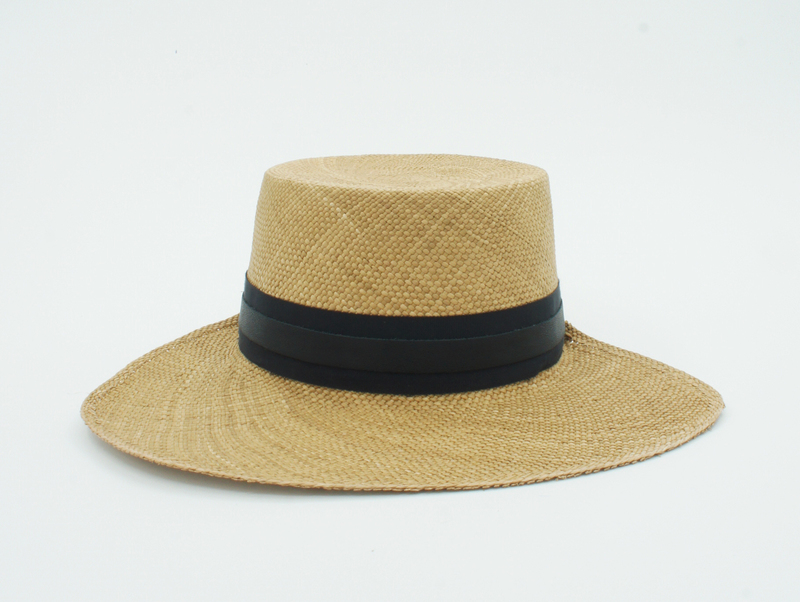 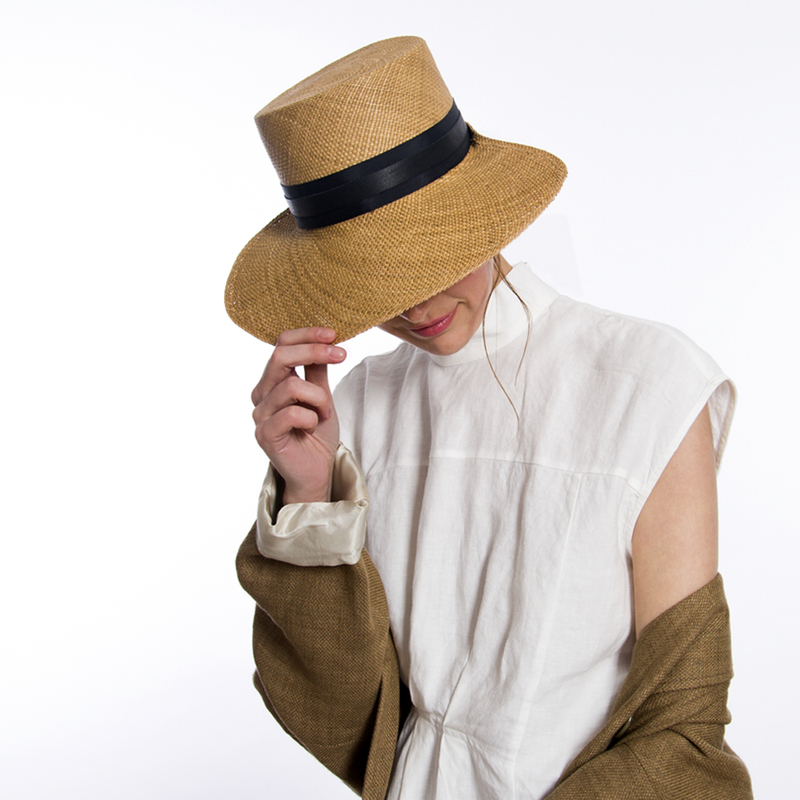 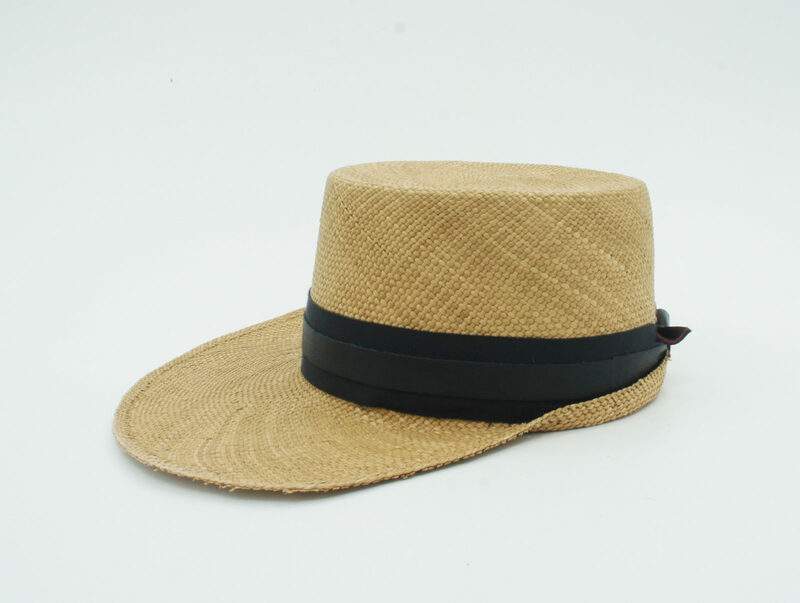 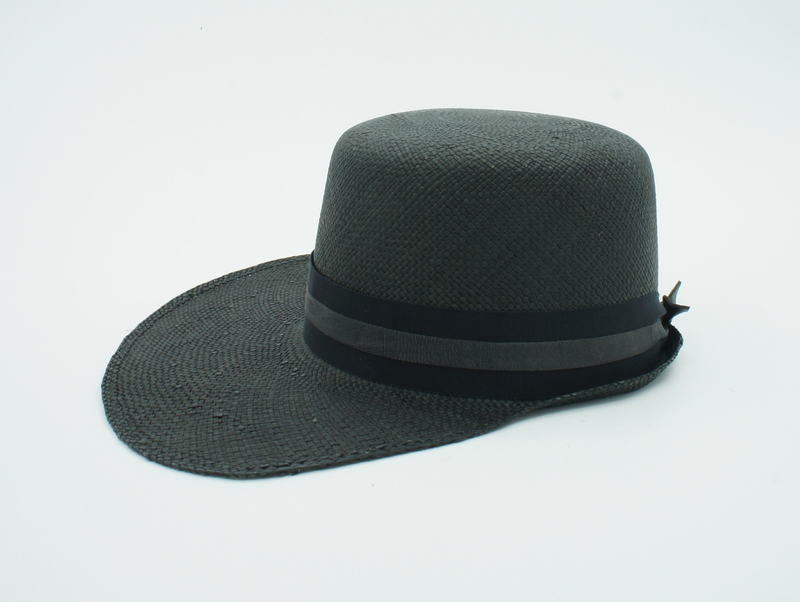 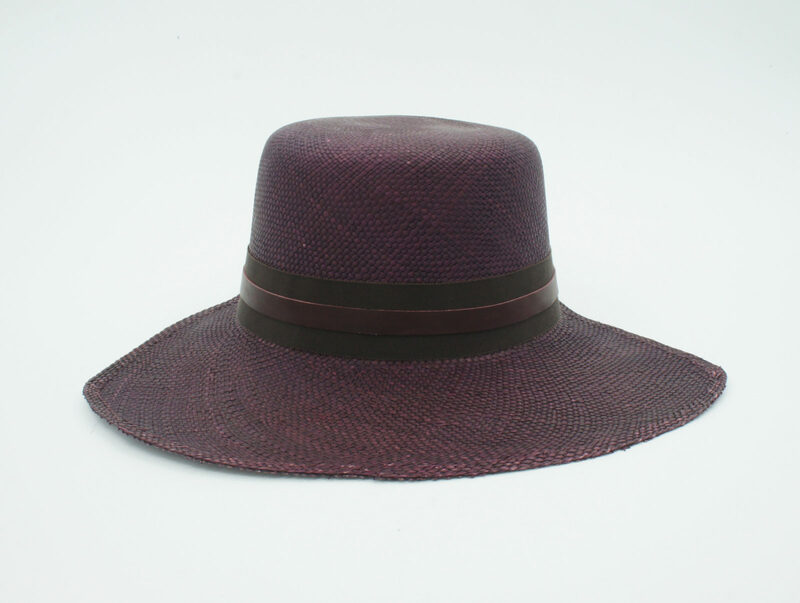 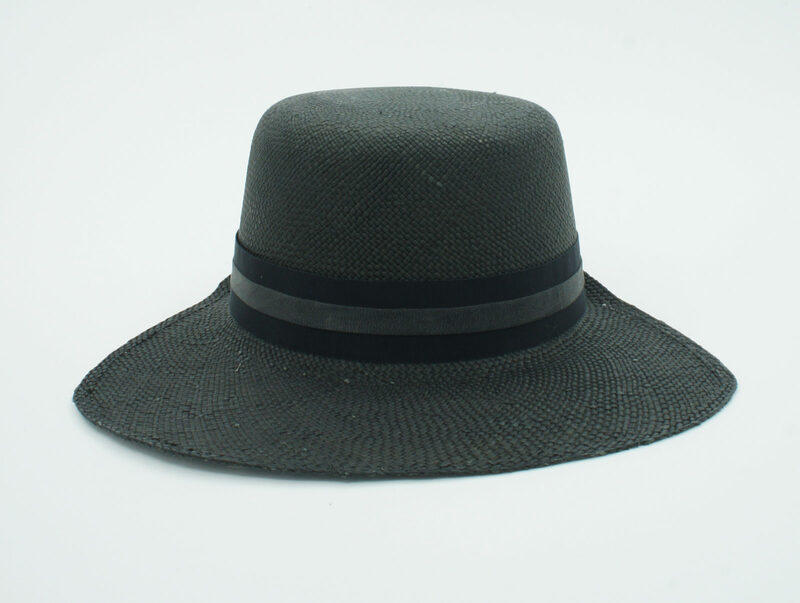 Handcrafted in Colombia from smooth Toquilla straw, the Mandevila cap has been woven in a Copa Cuadrada crown shape with a wide visor lending a wonderfully offbeat styleto any summer day. Trimmed with a wide grosgrain ribbon and a soft leather band, this eye-catching clean shape is inspired by the perfection of Picaflor’s anatomy. 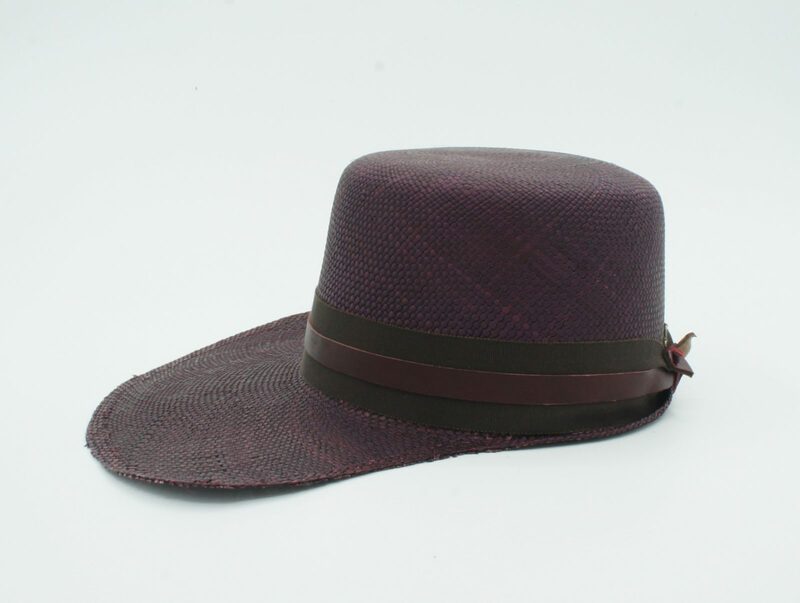 A mini leather bird adorns the back of the hat.